Jim McGuinness: sees similarities with the sides. DONEGAL ARE ONE win away from bringing Sam back to the county for the first time in two decades. Earlier we heard what Mayo chief James Horan makes of the Ulster champions; but what does Donegal chief Jim McGuinness make of the westerners? “Well they moved the ball very early into the full-forward line. They seemed to play on the shoulder of the full-backs. They delivered a lot of ball in over the top of the full-backs, a lot of it into the corners, which is a different thing. Rory O’Carroll and Michael Fitzsimons, these boys would normally play on the front foot, they play out in front, they deny you the ball. “But the quality of the ball over the top meant that they were being caught sometimes out in front and the Mayo inside forwards were asking a lot of questions from that point of view. Very big around the middle of the park, very strong in the middle of the park. They have a tendency, like Cork I suppose, to dominate the midfield area. Good kickers. I felt that even when the game was very, very tight they didn’t go lateral and they didn’t go across the pitch, they continued… even the sidelines late on, when there was only two in it and three in it, they were continuing to look for a 40 yard pass straight down the line so they were coached to be positive and to see their forwards. “Their forwards would be on the move and for that ball to be delivered and I suppose you’d have to give James Horan an awful lot of credit as well. He took Dublin on. He took them on in the kickouts, which is not an easy thing to do, and the full-backs took the Dublin full-forwards on. There was no sweeper. It was was three v three a lot of the time, four v four, two v two. He put the faith in his own men to do that job. They didn’t shirk responsibility, they kept coming out with that ball a lot of the time. “There was one or two goal chances for Dublin but over the 70 minutes they eye-balled them and they done enough to get over the line so you’d have to be very impressed with that side of it as well. I suppose the belief in their system and the belief in their manager to see the thing through to the very end and I think everybody that was at it would day that and for me, in an apprehensive kind of way, in the first half when I was watching it I was thinking, ‘Jesus these boys are almost unplayable’. There was a period in the game where it didn’t matter if it was Donegal or Dublin or Kerry, they were absolutely unplayable. The way they were moving the ball, early and direct and the accuracy of their shooting from outside the scoring range and inside the scoring range was very impressive so I was kind of glad to see there was a drop-off for a 20-minute period because if that was over the 70 minutes I think it would have been one of the greatest overall performances ever seen in Croke Park to be honest with you. “[James Horan has] obviously proved himself as a manager. They’re very similar to us in many respects. They have won two provincial titles in a row and winning two titles in a row definitely has given us a bit of belief to go on in the All-Ireland series and I think they’ve won two-in-a-row as well. They’ve a young management set-up, they’re hungry for success as a group. They’re coming on the back of a lot of hardship. They’ve lost a lot of All-Ireland finals and they’re carrying that pain. I’ve lost a lot of Ulster Championship finals, our players have lost a lot of Ulster Championship finals, they’re carrying a lot of pain. They want success, they want to get the most out of their career before it finishes up so all those things are coming together. I hope we’re hungry on the day. I know that Mayo’s going to be hungry on the day. That’s the part I’m looking forward to to be honest with you, to see what’s going to unfold really. “To see can we rise to that challenge because we know what they’re going to bring and we know, particularly with James Horan, he has brought consistency so we know what has gone in the past is going to be in this final from the point of view of what they’re going to deliver on the day and we have to try and rise above that and find a way to win the match which is going to be the challenge for us and it’s the exact same thing as the Cork game. It was the exact same thing. We knew what we wanted to do within the performance but we didn’t know if we were going to be able to do it based on the challenge that was in front of them, the size of them, the athleticism, the power, the forwards they had. And that’s the challenge. Can we implement what we’re working on on the training field on Sunday two weeks in the face of what Mayo’s going to bring to the game. Nobody’s going to know that until the match starts. “What psychological challenge is it not to be playing a ‘big hitter’ in the final? I would consider Mayo to be a big hitter. They have been there or thereabouts in the National league, year in, year out for the last number of years. They have a very strong tradition, there was no apprehension in Mayo going in against Dublin, there was no fear of the Hill, no fear of Dublin, no fear of championship football. Email “Donegal boss Jim McGuinness on Mayo: 'They were absolutely unplayable'”. 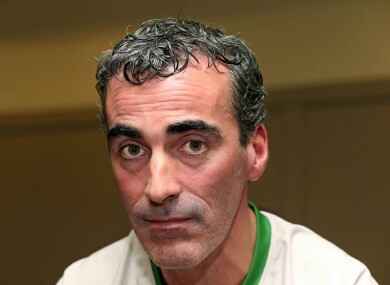 Feedback on “Donegal boss Jim McGuinness on Mayo: 'They were absolutely unplayable'”.